score freeware downloads for Windows Mobile Phone. 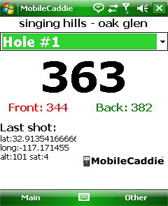 Summary: FreeCaddie is a completely free golf rangefinder, it runs on your phone and uses its GPS capabilities combined with our course file data to tell your distance to the front, center and back of the green. 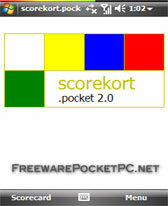 Summary: Scorekort.pocket is a free golf software for Pocket PC which will make your on-course golf scoring easy.